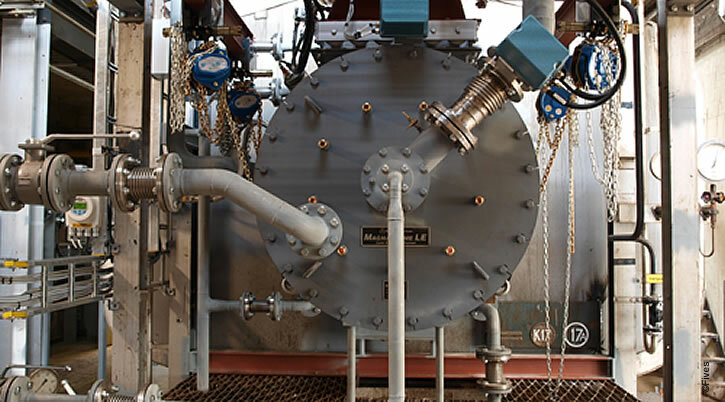 Fives offers a wide range of multi-fuel burners designed to operate efficiently and cleanly with both PUC quality fuels and waste fuels such as energetic waste gas streams, vent streams, aqueous waste liquids, and other waste fuels. Many products in the standard burner line can be engineered to also combust wastes streams efficiently. The rugged design of the burners, wide windows of stable operation and customizable materials of construction readily lend themselves to such incineration and thermal oxidation applications.